Rochester, New York - The wreckage of the schooner Atlas which sank in 1839 during a gale has been located in Lake Ontario. The Atlas may be the oldest confirmed commercial schooner discovered in the Great Lakes. A team of shipwreck enthusiasts, Jim Kennard, Roger Pawlowski and Roland Stevens, located the schooner while searching for sunken ships near Oswego, NY. In early May 1839 the schooner Atlas was transporting a cargo of Black River limestone from Chaumont to the port of Oswego. Within a few miles of its final destination the Atlas encountered gale force winds from the northwest which more than likely caused a shift in the heavy cargo taking the schooner swiftly to the bottom of Lake Ontario. The schooner sank so quickly there was no time for anyone to escape and all on board were carried to the deep depths of the lake. Only a few articles from the schooner were found later by the steamer Telegraph that had been sent out to where the Atlas was seen going down. These included a pair of oars, a coat, two hats, and a pair of boots. The Atlas, a two masted schooner, was built in Dexter, NY in 1838 and owned by Ortha Little & Son for the specific purpose of transporting building stone from the quarries in the Chaumont, NY area. The cargo was owned by Asa Davis who at that time was furnishing the cut stone for the U.S. government pier in Oswego. Stone from the Davis quarries was later used in the construction of the Gerrit Smith building (public library) and a number of other structures in Oswego. The crew of the Atlas consisted of Ashel Westcott, of Brownville, Jefferson county, aged about 26; Ortha Little, of Hounsfield, Jefferson county, part owner of the schooner and a sailor on board, aged 48; William Ackerman of Brownville, a sailor, aged 19; John See, a sailor, aged 18; and Asa Davis of Chaumont, owner of the cargo, aged 30 years, son of Phineas Davis, of Mexico, NY. 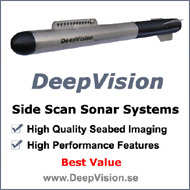 The schooner Atlas was located in late June by a high resolution DeepVision side scan sonar system. Last week the team returned to deploy a VideoRay remote operated vehicle (ROV) and obtain a video recording of the remains of the shipwreck. 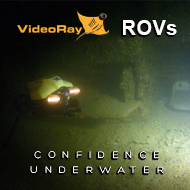 In a depth of upwards of 300 feet the visibility is limited to lighting provided by the ROV. The remains of the schooner can best be summed up as a mess. The ship sank like the stone it was carrying, hitting hard on the bottom of Lake Ontario and collapsing the deck. The impact probably weakened the sides of the schooner causing them to fall away. One of the masts is resting to the starboard side of the wreck and the other back past the port stern of the ship. Only the aft deck remains with the ship’s wheel heavily encrusted with mussels. Just forward of this deck is one of the holds of the ship, containing a large piece of cut stone. From this area to the bow, boards jut out at different angles indicating how violent the impact must have been when it crashed into the bottom. At the bow one anchor is still hanging on the starboard side while the port anchor is resting on the bottom. The video appears to show a reinforced stern area from which the stone was probably loaded. The best estimate of the ship size is approximately 52 feet in length with a beam of 16 ½ feet. A search of shipwreck databases and discussions with several maritime historians was made to determine if there was another previously discovered Great Lakes commercial schooner that may be older than the Atlas. There has been some speculation of earlier vessels but none have been positively identified. The shipwreck survey in Lake Ontario was funded by a grant from The National Museum of the Great Lakes/Great Lakes Historical Society of Vermillion, Ohio. Jim Kennard has been diving and exploring the lakes in the northeast since 1970. He has found over 200 shipwrecks in the Great Lakes, Lake Champlain, NY Finger Lakes and in the Mississippi and Ohio Rivers over the past 35 years. In 1983 he discovered a unique horse powered ferryboat in Lake Champlain. National Geographic featured the ferryboat in their October 1989 issue. 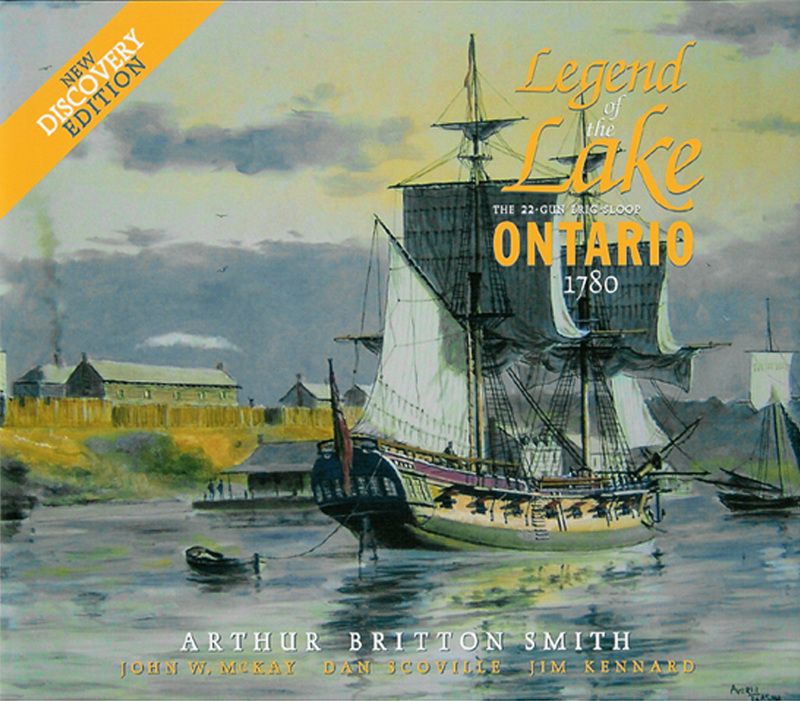 In May 2008 Jim Kennard and Dan Scoville discovered the British warship HMS Ontario, the oldest shipwreck ever found in the Great Lakes, and in late September 2008 a rare 200 year old "dagger-board" schooner. Both discoveries received worldwide attention in the news. Kennard is a Fellow member of The Explorers Club. Roger Pawlowski has been diving on shipwrecks in the northeast and Florida for the past 12 years. He is a retired Air Force Reserve pilot and flew missions in Desert Storm. In 1980 while flying a practice mission over Lake Ontario he witnessed a small aircraft plunge into the lake. His details of the incident and location helped Kennard locate the aircraft which was several miles from shore and in over 100 feet underwater. Pawlowski is an electrical engineer and runs his own engineering consulting business. Roland ‘Chip’ Stevens is a retired architect and working artist whose watercolors are well known in the Rochester area, many of which have been accepted into national exhibitions. A sailor for many years, Stevens has a love of the sea as reflected in his seascapes. A number of his paintings of shipwrecks discovered by the team have appeared in news stories and publications. Stevens created a sketch of the schooner Atlas as it appears today on the bottom of Lake Ontario based on the ROV video recording. Congratulations Jim, You've done it again.